Apex Legends’ next Legend will drop before the end of the battle royale’s first battle season period.While we’ve only recently been introduced to new adrenaline junkie Octane, it seems he won’t be the only addition to the roster during the Wild Frontier season, Apex Legends’ inaugural battle pass. According to the Sony PS Store (thanks Apex Legends Insider, via PCGN), there’ll be one more released over the course of the next 12 weeks, too. 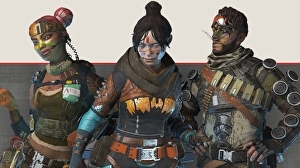 “Two new characters will launch over… Read original at Eurogamer — https://www.eurogamer.net/articles/2019-03-24-one-more-character-will-drop-before-the-end-of-apex-legends-first-battle-pass-season URL of source article.